The South Bay Union School District recognizes the positive impact that regular school attendance has on student achievement. When students are not in class they miss important information and instruction. For students to have a great school experience and an increased chance of educational success, they need to be in school, and ready to learn, every day. Regular attendance benefits the student, the class, the school and the community. For information on attendance laws, how to report an absence, types of absences, and the School Attendance Review Board, please visit Every Day Counts! "It is in fact a part of the function of education to help us escape, not from our own time - for we are bound by that - but from the intellectual and emotional limitations of our time." In early September, the California Department of Education (CDE) released results from the California Assessment of Student Performance and Progress (CAASPP) test in which students in grades 3-8 participated last spring. This new test, which is significantly more rigorous than assessments in the past, measures how students are able to master and apply the new California State Standards. This new assessment cannot be compared to the former California Standards Test (CST) due to increased rigor, new standards and computer adaptive format. These new tests are part of California's plan for supporting high levels of learning for all students. Students are expected to explain how they solve problems, think critically and write analytically. All of these skills take time to master and apply and are critical components for success in the future. The results for this year's CAASPP assessments serve as baseline data which will help us determine instructional needs to support all learners in the South Bay Union School District. We recognize that our students will need to make significant progress in order to meet the demands and challenges placed upon them. SBUSD staff is in the process of fully analyzing the assessment data as a means of creating comprehensive action plans to improve teaching and learning on behalf of all students. We are committed to ensuring rigorous, student-centered, and standards-aligned instruction in every classroom and we understand that new ways of thinking and applying learning take time to develop. Our results clearly indicate our students need not only more time, but higher levels of rigorous instruction and learning to be fully prepared for the demands placed upon them by the new standards, new assessments, and our ever changing society. We are not discouraged, but instead have created a call to action as we identify areas of need and create actionable strategies to increase student success. Our data follows state trends which indicate higher levels of achievement in ELA than math. Areas of specific need in SBUSD include the areas of reading and mathematical concepts. Areas of strength include listening and communicating reasoning. Teachers have worked diligently to increase the amount of oral communication on the part of students and data indicates this work has been beneficial. In addition, teachers focused on creating opportunities to discuss mathematical problems and share strategies for solving complex problems. This, too, was beneficial. Our students are hard-working and want to succeed. Students demonstrated resilience and perseverance during testing. Our network and the devices students use worked efficiently and effectively. Teachers and staff continue to make instructional changes to improve support all students. Middle school students demonstrate strength in both ELA and math. Professional development in the area of literacy, especially assessment based reading instruction. Continued implementation and expansion of Systematic English Language Development. Expanded integration of digital tools and technology to promote digital literacy and inquiry. Providing intervention and enrichment based on individual student needs. Professional Learning Communities (PLC), which is dedicated teacher collaboration time to focus on standards, students, and instruction. Increasing parent involvement and engagement to increase student achievement. Providing safe and nurturing environments for student learning. The most important thing parents can do is make sure that students are on time and attending school each and every day. Just the smallest amount of missed instruction can make a big difference. Thank you for your support as we continue to move forward. Learning any language begins with a listening and speaking phase. As babies we heard our parents talking to us in a very soothing manner. We listened to the different sounds in our language and we started making connections with familiar objects and patterns. As we developed, we began speaking through one to two word utterances then to phrases and finally in complete sentences. Along the way we picked up the grammatical features in our language as well as any social norms we may have encountered. When learning a new language many of our English learners encounter the same phases. They go through a silent period, trying to figure out vocabulary and grammatical structures. They begin with one to two word utterances as they think about how to express their thinking. Then they move on by speaking in phrases and eventually into complete sentences by manipulating the language that is unique to English. Present information, findings, and supporting evidence such that listeners can follow the line of reasoning and the organization, development, an style are appropriate to task, purpose, and audience. Because the standards are rigorous, the state of California wanted to align our English language arts standards to the California English Language Development standards to give access to our English learners. With that in mind, our English learners are given the same rigor at their proficiency level. 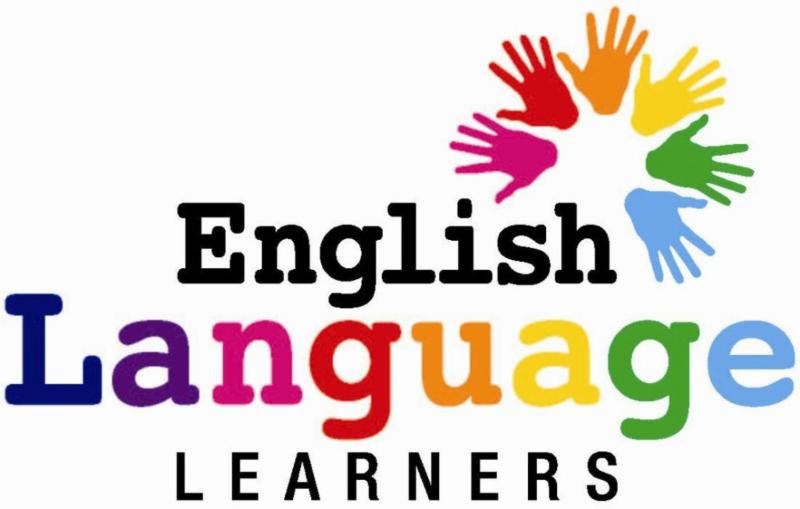 Instruction about English is designed to improve a second language learner's ability to comprehend and produce academic texts in various content areas. As we continue into the 21st century, ALL of our students will benefit from these rigorous standards preparing them to be college and career ready. On Saturday, June 6, the Rock Church of San Ysidro held aRock Your City event at Mendoza and Emory Schools.Mirinda Quillopo, a Mendoza Parent Volunteer Coordinator, hosted the event. Fifth grade teachers Herlindo Fernandez and Laura Cappadona from Mendoza and Angelica Goulding from Emory, representing the 5th Grade Garden Project, worked with and guided volunteers. 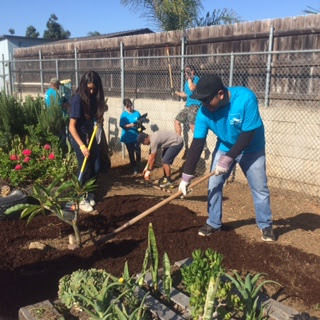 More than a hundred volunteers from the Rock Church Community, including students from Southwest High School, came together to beautify the 5th grade gardens at each school site. Work began at 5:00 AM, so volunteers could start before bees began circulating around the garden. The Rock Community donated much needed materials, such as lumber, for a storage shed, and fresh soil for planters. They hauled truckloads of weeds and debris, transplanted, raked, leveled, relocated planters, reset pave stones, and added shelves to the greenhouse. 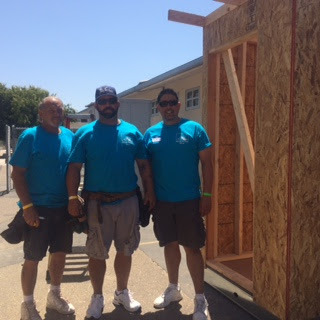 In addition, carpenters Robert Reider, Bobby Reider, and Miko Martinez, built storage sheds at each school site. 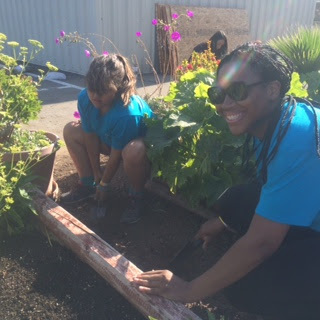 Also, Home Depot generously donated redwood chips, in partnership with our 5th grade garden advocate, Michelle Nelson of Mendoza Elementary. 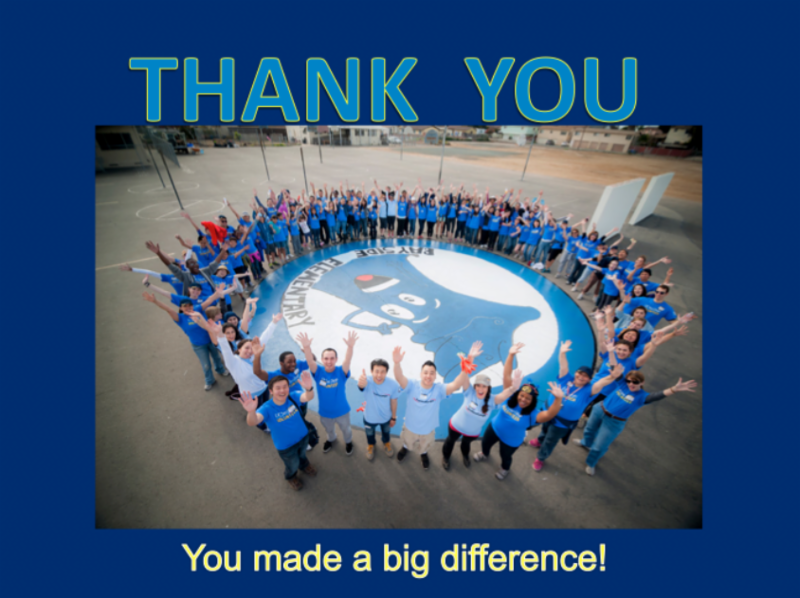 We are very grateful to all the volunteers who made the day go smoothly, and productively, demonstrating the transformative power of teamwork in our community. We can accomplish wonderful things when we support each other. Thank you to all the helping hands of the Rock Church Community, and the South Bay Union School District, making the Rock Your City event a great example of uplifting your community! Nicoloff School is hosting Battle of the Books, which is a reading program that improves student engagement in reading and challenges students to read rigorous texts dealing with a variety of awareness issues. Battle of the Books is a voluntary reading incentive program to encourage 4th, 5th, and 6th grade students to read books and have fun while competing with peers. Research suggests that the more time students spend reading independently, the higher their gains will be in reading achievement. 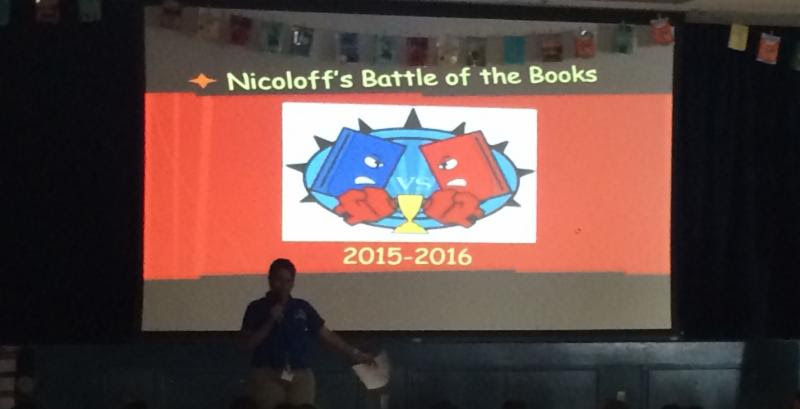 This is the second year that Nicoloff has hosted Battle of the Books. Principal Rigo Lara and Nicoloff teachers actively support the program. Principal Lara stated, "We are pleased with the participation by the students and parents. When we saw how the friendly competition and excitement spread throughout the school last year, we knew we had to makeBattle of the Books an annual event." 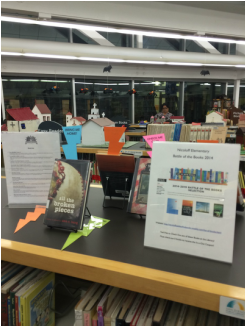 Students begin by checking out and reading books from the Battle of the Books list. Books are available at the school or public libraries. The Otay Mesa Nestor Library has partnered with the school to support the program and have created a special section in the library just for Nicoloff students. After they have finished a book, students take a quiz on the book, and attend a book club meeting. If a student reads twelve or more books, they can compete in the end of the year Battle of the Books for a chance to win various prizes. We are pleased to welcome two new leaders to the SBUSD community. Kevin Coordt is our new principal at Bayside School. Kevin comes to us from La Mesa/Spring Valley where he was serving as principal of Bancroft Elementary, a site very similar to the schools in SBUSD. Kevin was previously principal/director of American International School of Cape Town South Africa, as well as an assistant principal in the Santee School District. The interview panel identified Kevin's strengths as inspiring, passionate, humble, and charismatic. He brings a wealth of knowledge and experience in the areas of Response to Intervention, restorative discipline, community engagement, and improving academic performance. Kevin is also bilingual in Spanish. We are confident that Kevin will bring a sense of purpose and a welcoming heart to staff, parents, and students of Bayside. Jennifer Grondek is the new principal at Emory School. 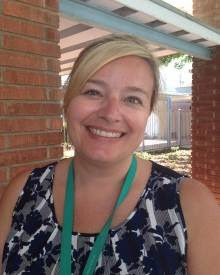 Jennifer was serving as a district level Learning Support Coordinator in the Cajon Valley School District. Her responsibilities were varied and supported multiple areas of educational and student services including coordination of History/Social Science, school counseling services, homeless/foster youth support, attendance, and discipline. 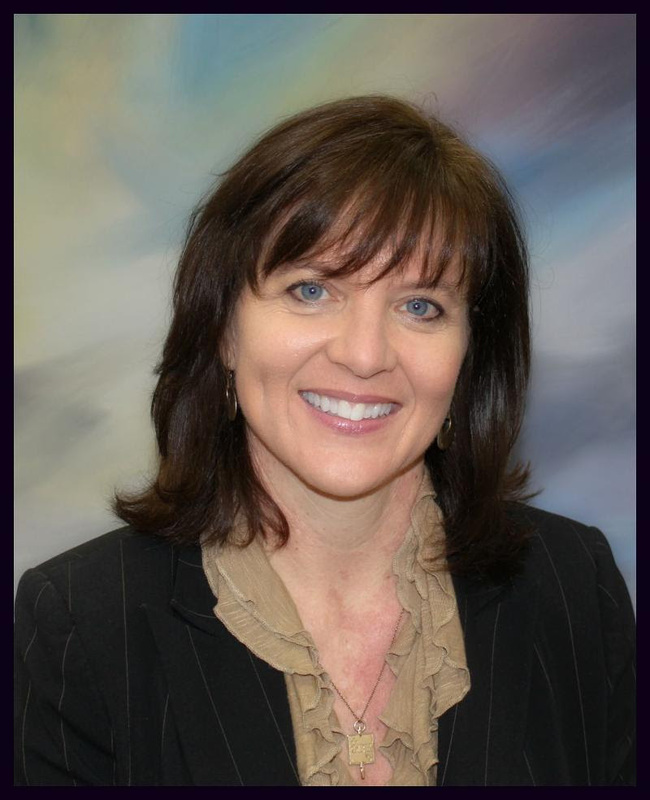 Her previous experience includes interim school principal at Magnolia Elementary, assistant principal at Los Coches Creek Middle School, and school counselor. The interview team described Jennifer's strengths as confident, thoughtful, well spoken, supportive, visionary, and collaborative. We believe Jennifer's intellect, ability to resolve conflict, and collaborative spirit will serve us well in her new role. Please join us in welcoming Mr. Coordt and Ms. Grondek to SBUSD! Every day at lunch time the South Bay Union School District offers three entrée selections, along with a bountiful salad bar that offers a variety of fresh fruits and vegetables. 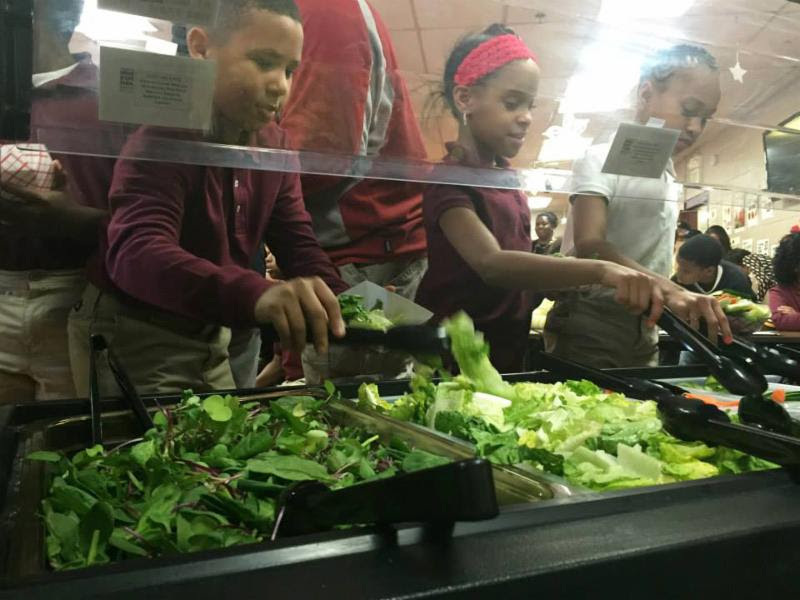 Students can take as much as they want from the salad bar. Our lunch menu rotates every two weeks, and each day one of the entrée items offered is a vegetarian item. Did you know that approximately 77% of our students participate in our lunch program every day? We are so happy to serve your children and to offer Five Star Meals in our cafeterias. What are Five Star Meals? 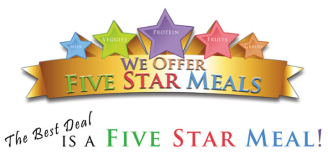 The Five Star Meals are a fun way for students to make sure they are getting a complete and balanced meal. All meal choice offerings at lunch time are marked with colorful stars that indicate the meal component being served. As students come through the cafeteria, they are encouraged to select food options from at least three stars and one of the stars must be a fruit or vegetable for the meal to be complete. Purple Star-Proteins: Each lunch meal offered contains a minimum of 2 ounces of protein. Protein is a vital source of energy and is a main meal component in all of the entrees we serve. Red Star-Fruits: We serve a large variety of fruit each day. Fruit is considered nature's sweet treat. Any fruit that is frozen or canned is packed in natural juices or water whenever possible. Green Star-Vegetables: We serve a variety of nutrient packed fresh vegetables each day which include, dark leafy greens, red and orange, starchy varieties and beans, peas and legumes. It is important to eat a variety of colorful fruits and vegetables every day. Many of our fresh fruit and vegetable items are grown in California. Golden Star-Grains: All of the grain servings we offer are 100% whole grain rich. Eating whole grains provides health benefits that include reducing blood cholesterol levels and lowering the risk of heart disease and obesity. Blue Star-Dairy/Milk: We offer two choices of milk each day along with yogurt and string cheese. Milk and dairy products are extremely important for bone health in school age children. Milk and dairy also provide an important source of calcium, potassium and vitamin D.
Please visit the Child Nutrition website for more information regarding our programs. The Transportation Department has been busy helping students at all school sites with Emergency Bus Training. Students learn how to safely wait at a bus stop, load and unload the bus, as well as bus rules. Students get additional information such as what to do if they need to cross the street that the school bus is on, and how to apply and release seat belts. Some more dramatic training takes place when the students learn what to do in an emergency and must exit the bus quickly. 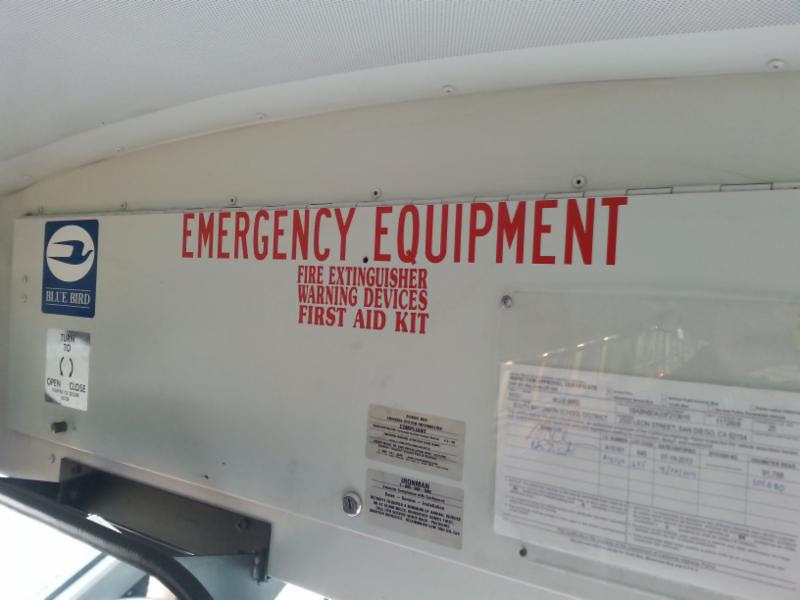 Students are taught how to exit the bus from a side emergency door, how to call for help on the school bus radio, and open the doors while helping each other. The students always have great questions and enjoy this part of the training! Transportation has also been implementing a school bus pass system. Recently, one of the school bus stops was closed due to an emergency in the neighborhood. The school bus pass program enabled Transportation staff to contact the parents of the bus riders just for that bus stop. All general education students that ride the school bus are required to have a school bus pass. The students like the passes and value them and parents feel secure knowing the driver can always refer to the bus pass if there is a question to be answered about a particular student. All around, the bus pass program is working out really well! The SBUSD Education Foundation is a non-profit 501 (c) 3 corporation organized and operated for the benefit of the students of the South Bay Union School District. The Board of Directors is comprised of parents, educators, and community leaders who volunteer their time, energy, and knowledge. The Foundation provides you with a way to support excellence in our schools on a tax-deductible basis. You can do this by making direct contributions, memorials, gifts, or by attending/and or helping with our events (Casino Night, bowling fundraisers, Sun & Sea Festival parking, etc.). For more information, please visit the Foundation website. The South Bay PTA Counciloversees the PTAs at our schools and facilitates District-wide events, including SBUSD Padres Night and the upcoming Unity Games/Field Day Event, which is scheduled for May 21, 2016. The PTA Council also sponsors the annual Bea Estrada Service Awards and provides emergency assistance for families in need. If you are not already a member of your school PTA, please consider joining! PTA connects families, schools and communities, and joining PTA is a great way to support your child's education and the education of all of California's children. On November 19, from 3:00-4:30 PM at the Ed Center (601 Elm Avenue) the District will be hosting a distribution of affordable technology donated by Computers 2 SD Kids (C2SDK). C2SDK is a non-profit organization that assists qualified children and their families in obtaining computers, software, training and support in order to help them become computer literate as well as increase their access to educational, occupational and financial resources and the related skills to effectively use that technology. C2SDK's prime goal is to place computers into the homes of the 28% of San Diego County families who cannot afford this essential educational tool. Families have the option of completing the required applicationelectronically or on paper. Paper copies can be turned in to your school office for forwarding to Michelle Syverson at the District Office. For more information, please see the flyer. We are announcing the 2015-2016 Optimist International Oratorical Contest! The topic for this year is, "How my best brings out the best in others." Students under the age of 18 (as of October 1, 2015) may enter. The deadline for entries is February 2016 and the event is scheduled for March 2016. For more information, please see theapplication. Mission Federal Credit Union sponsors Kids Free in October at the San Diego Zoo/Safari Park. Please see the flyer for details. Are you a South County grandparent or relative raising a young family member? Join a workshop on Saturday, October 17 from 8:30 AM - 2:00 PM at the Chula Vista Learning Community Charter School (590 K Street in Chula Vista). See theflyer for additional details. Mission Federal Credit Union sponsors Mission for Our Schools, a program that rewards schools when you open a new account. Click here for more details.